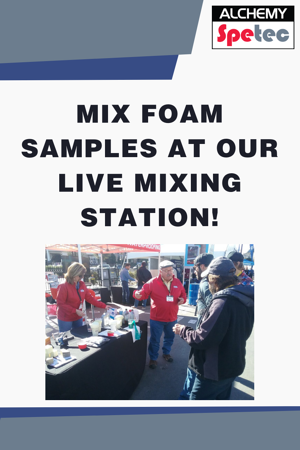 Mix Foam Samples at Our Live Mixing Station! See first-hand how chemical grouts react and set up when mixed at our Live Mixing Station at World of Concrete 2019! Drop by to see us at Booth # O40551 in the Silver Lots (same location we were in last year).